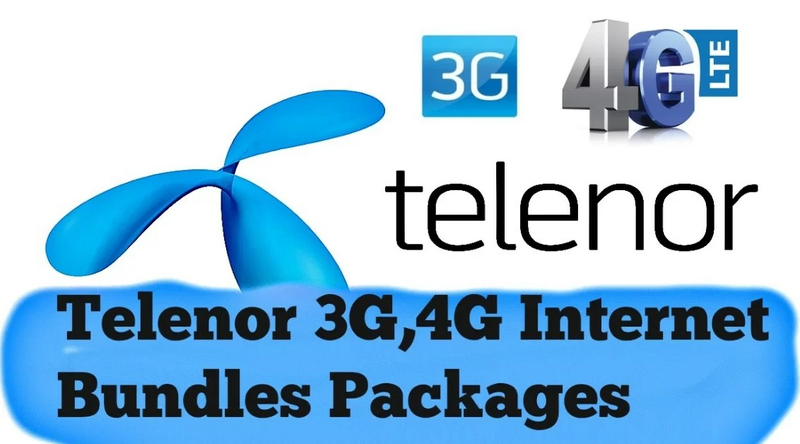 Telenor Internet Packages with 3G & 4G activation code. If you are searching for best Telenor internet packages whether 3G or 4G then we have got some best offers for you all at one place. It is one of the best cellular network and internet service providers in Pakistan. Perhaps there a lot of Telenor 3G internet packages and Telenor 4G internet packages offered in Pakistan. Note: If you will use the 3G and 4G service without using the above codes or subscription then you will be charged Rs.12 per MB. After using internet for Rs.60 rest of the internet service will be free for all day. You can use up to 100MB of Telenor social internet package by simply using the code *5*325#. However just keep in mind that this package is usually slower in terms of speed. Just make sure to use it for light use of Facebook. Data Sim is meant to be used only for Telenor 3G and 4G internet packages. You can use Telenor Data Sim in any android mobiles or tablet. The Telenor Data Sim allows you Huge Data Volume than the prepaid packages. Below are some of the value telenor internet packages for telenor data sim. Consequently these were some of the best Telenor internet packages we have to offer to you guys. If you have found any mistakes then please do not forget to mention them in comments section. Specializing in QoS and QoE, TS2I support operators to optimize their network and operation for from the initial tuning to the final Key Performance Indicator optimization. Fund in 2012, TS2I becomes number 1 of the world’s leader provider of Telecom services for operators, manufactures and sub-contractors in MENA by providing mp-Lab Solution, a multi-technology radio planning and optimisation suite of both 3GPP and 3GPP2 radio access technologies including 5G, LTE, 3G, GSM, and CDMA2000.